For those who don’t use the serial comma, consider the matter settled. According to the new note seen by MacRumors, inquiries by Android smartphone vendors into 3D-sensing technologies have at least tripled since Apple unveiled its TrueDepth camera and Face ID technology, which replaces traditional Touch ID fingerprint recognition in the iPhone X, set to launch in November. […] Kuo went on to say he believes the next two to three years will see shipments of 3D sensor-equipped Android devices to exceed those with under-display fingerprint recognition by a factor of two or three or more. There’s no way they came up with this in the last year because under-display fingerprint recognition technology was “hard to do”. They’ve had their eye on this for a long time now. The path forward for Aquila isn’t totally clear, and it’s bound to encounter more bumps along the way. But Zuckerberg is resolute: billions of people who can’t access the internet deserve it. And for Facebook to achieve his long-term vision, everyone is going to need access to more bandwidth than they have today. Sounds very humanitarian. Until you remember that Facebook makes it’s money through advertising, and can only show year-over-year growth if more users are connected to Facebook than the year before. Once you’ve hit the saturation rate for your population, the only way you can increase revenue is if you can access more population. Facebook has become so enormous, if it wants to continue to grow it’s user base, it has to literally invent the technologies needed to push internet connectivity to the rest of the planet. Scientists regard vegetative buffers as the most cost-effective and fair means of controlling polluted runoff from farms and developments; the Senate budget would have them repealed and would schedule the repeal of state requirements for buffers along the Neuse River, the Tar-Pamlico River, the Catawba River on December 31, 2019— even if no alternative is in place. It’s not that the Republican Senate has forgotten about our waterways, it’s that they just don’t care. 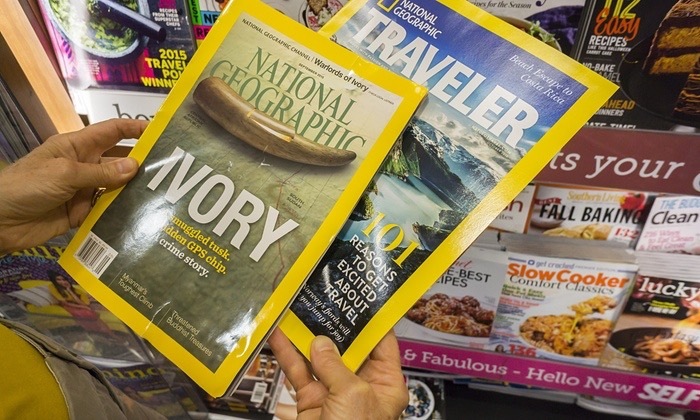 In a bold move today, National Geographic Magazine has announced a rebranding effort. Purchased by 21st Century Fox, the new “Climate-Denial Geographic” is preparing its first issue detailing the wonders of capitalism, a new sponsored inquiry showing global-cooling, and why some species are being deprecated to encourage thriving populations of more robust, human-friendly species. To promote the magazine, Glen Beck will be featuring CDG Writers and Real Scientists (TM) on his show. The guests will discuss the magazine and the importance of giving every viewpoint the same amount of media coverage. For a limited time, CDG will offer a genuine alligator-hide display case for your bookshelf when you subscribe. Sales representatives were clear that the 13-Issue case will indeed have room for the much anticipated “A Very Colder Christmas” special issue. The case is styled to match a similar case offered with subscriptions to Answers in Genesis Magazine, and proceeds from the case will benefit the organization. The Heritage Foundation called the new branding “…a win for scientific inquiry in the world today”, and speculators anticipate a doubling of profits from the previous quarter. Whether new subscribers will read the first issue, or just tweet photos of themselves holding the covers to run in the monthly Coal Roller of the Month column, remains to be seen. First attempt at a satire news post. Here’s a link to a real article about this news.